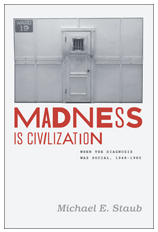 Michael Staub, Madness is Civilization. When the Diagnosis was Social 1948-1980. (University of Chicago Press 2011) For more please click here.